In this interview with Tae Edmonds, the rapper-singer discusses his upcoming album, his greatest music influences and more. Deonte grew up in Chicago, IL and always thought and dreamed of being a big music star. He uncovered his passion for music when he started to dance and sing watching the movie ''The Temptations'' in 1998. From that point on, Deonte was involved in choir, musicals, and songwriting. He also learned to play the piano and ukulele in his spare time. Deonte said, "Music changed my life". He hopes one day that he can show the world his talent and become a successful artist. It's very evident that Deonte has what it takes to be a big star, with his work ethic and his dedication, reaching the pinnacle won't be that hard for this young artist. 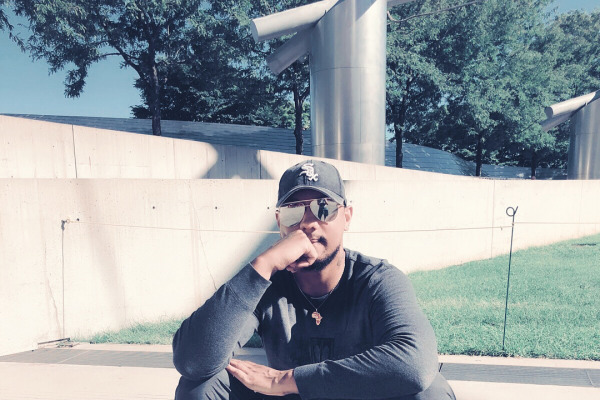 When we take a look at Tae Edmonds' Instagram profile we can see a lot of high-quality variating contents showing moments in his life, right from his upcoming, moments with family and friends and most of all his passion and dedication to music. The fans are loving it given the high-engagement rates and we're excited for what his new content is going to be since for sure there'll be a lot more to come! Tae has always been my nickname and Edmonds is my last name so i put them both together. What's the inspiration behind your music? When i was young i use to watch "The Temptations'' sing and dance. So they inspired me to do music. I would say Marvin Gaye, Al Greene, Phil Collins,Notorious B.i.g, J. Cole, Joyner Lucas.They really influenced me. I was 12 years old rapping in front of my family and they told me i was really good and had a gift. the coolest place i performed would be this place called ''Adrianna's Banquets" in chicago illinois. The crowd was so loud and loving me. I would want to work with Michael Jackson. He was an amazing artist. Musicdigi is a great platform for muscians like myself because its user friendly and it's made my music available and easily accessible on so many sites. My fans can expect a very hot album, videos more interviews and lots of collaborations. I cant wait to put out some more dope music and take my career to the next level.